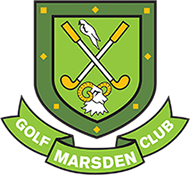 Marsden Golf Club has Community Amateur Sports Club (CASC) status. The club is thus recognised as a charity. We seek to foster participation in golf by players of all ages and abilities and have developed a range of membership fees to reflect this. We have fees ranging from £20 (Juniors) to a sliding scale for young men up to age 40, full annual membership for lady members for only £200 and full annual membership for men over 41 for only £534 (£470 if over 65 years). For people who have not previously been a golf club member elsewhere we offer “Let’s Try Golf” for £150 for six months – just £100 for a full year for new Lady golfers. Our membership fees are amongst the lowest to be found in the Huddersfield area.